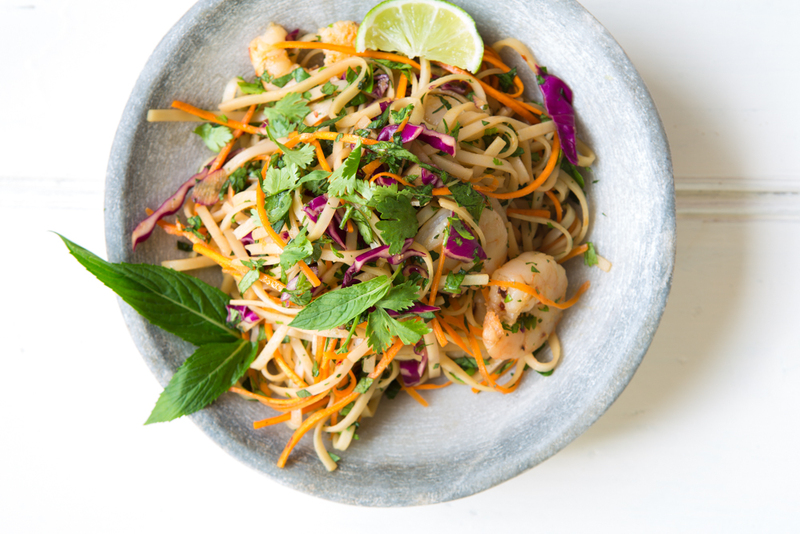 Let’s face it – noodles take salads to a whole other level. They are inevitably the first dish to go at any shared table situation, be it a BBQ, picnic or dinner party and so I thought it was time to share with you one of my favourites. If you’ve been a follower of this blog for a while now, you’ll know that I’m all about…. This is how I eat, this is the type of food I cook for events, for loved ones and it’s the philosophy that’s embedded into every piece of work that I create for you. I always keep this in mind when creating and sharing recipes with you as I want you to find the ease and pleasure that I have in eating well, looking good and feeling great. This recipe incorporates a few key elements because I’m all about re-purposing ingredients and dishes in other ways. Not only is this easier and less wasteful though it’s efficient too. Whether you’re cooking for one, two or 8! For instance these prawns are literally the easiest and tastiest (even for a non-seafood person such as I), can be made in minutes and added to countless other meals. The noodles may be leftovers from yesterday and I might even have half a carrot left in the fridge that need not be thrown away. The dressing can be made in advance for this recipe and I often have it in the fridge from my go-to chicken rice paper roll recipe (sans chilli). 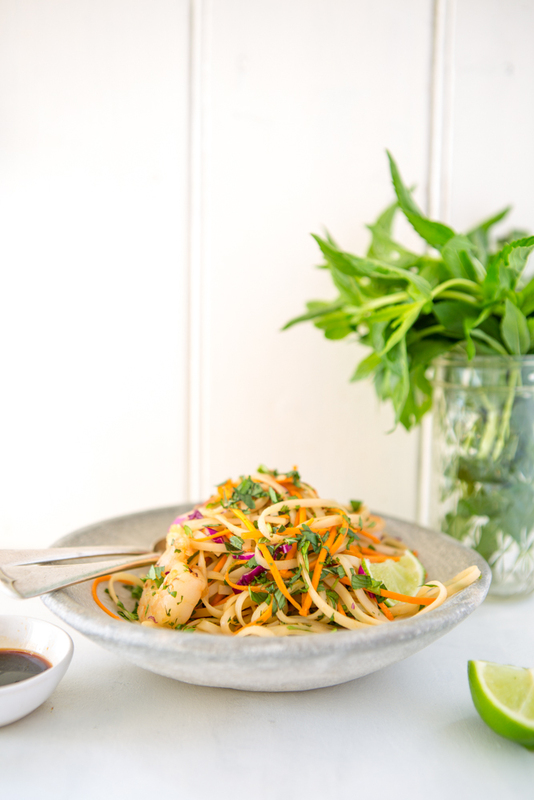 Essentially, this recipe is simple and tastes just as good the next day so make double and enjoy a tasty lunch at work tomorrow – all sorted and feeling great! 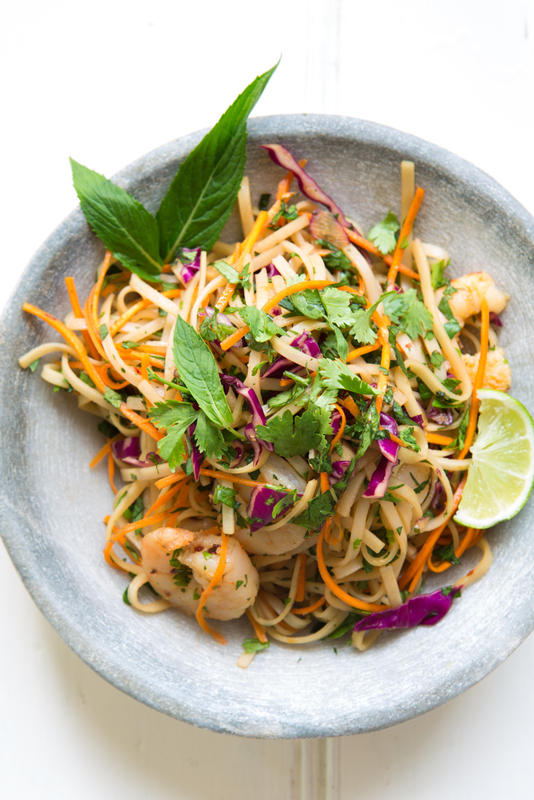 8 Responses to "Prawn & Rice Noodle salad"
This is a wonderful example of how simple it is to create your own spin on recipes OR make it more suitable to your needs! I absolutely love this and thanks for sharing!! Polly this is fabulous and thank you so much for the very kind words of support! Nothing makes me happier than people making the recipes their own, adapting and adjusting to their individual needs! Oh thanks so much Louise – I’m thrilled that you found the recipe to be so simple and delish! Awesome feedback and this is exactly what I love hearing! Making it work beyond the one meal! One caveat – be careful with reheating seafood – perhaps bringing the prawns to room temp and adding to the warmed salad is a safer bet.